Clifford Robinson played for the New Jersey Nets from 2005-2007 and lived in New Jersey after he retired from the National Basketball Association. Because of that Clifford has always supported cannabis reform efforts in New Jersey. Unfortunately, cannabis reform has been hard to come by in New Jersey this decade due to former New Jersey Governor Chris Christie. The winds of change are picking up though now that New Jersey has a new Governor (Phil Murphy). Today, Governor Phil Murphy announced steps to expand New Jersey’s long-stalled Medicinal Marijuana Program. The Governor acted quickly after taking office, issuing an executive order mandating the Department of Health to review the program and make recommendations for improvement. The announcement today is the result of this executive order. Patients will be able to register at more than one ATC. Advocates applauded the Department of Health and Governor Murphy for the quick action. The Drug Policy Alliance led the campaign to pass the New Jersey Compassionate Use Medical Marijuana Act and has continued to work to see the program effectively implemented. The Drug Policy Alliance submitted a petition to the state’s Medicinal Marijuana Review Panel in support of adding chronic pain to the list of qualifying conditions. The New Jersey Compassionate Use Medical Marijuana Act was signed by Governor Jon Corzine right before he left office in January 2010 due to advocacy by the Drug Policy Alliance and partners. Then incoming Governor Chris Christie was charged with implementing the law. Patients and advocates have criticized the slow implementation—eight years later the state has only five Alternative Treatment Centers where patients can access medical marijuana—and the burdensome regulations the Christie Administration promulgated. Clifford ‘Uncle Cliffy’ Robinson played for the New Jersey Nets from 2005-2007 and was a longtime resident of the state. Cliff witnessed firsthand the failures of cannabis prohibition in New Jersey, which is why he supports cannabis legalization efforts that are currently underway in the Garden State. New Jersey Governor Phil Murphy has called for cannabis legalization on a number of occasions, and polling is very favorable for adult-use legalization in New Jersey. However, a lot of hard work is ahead in order to free the plant in New Jersey. Nothing is a guarantee, which is why New Jersey residents need to contact their lawmakers. New Jersey, New York, and numerous other states have also introduced bills to legalize marijuana this year. Roseanne Scotti, New Jersey State Director for Drug Policy Alliance states that the report provides strong support for New Jersey’s efforts to legalize marijuana. “This report answers the questions that elected officials and the public have been asking about how marijuana legalization has worked in other states,” says Scotti. “The findings are extremely positive and provide important lessons on how New Jersey can structure its marijuana legalization law so that it will be fair and equitable and provide benefits for all New Jersey residents.” The Drug Policy Alliance has launched a campaign to legalize, tax and regulate marijuana in New Jersey. The Uncle Cliffy team is passionate about cannabis activism, both inside and outside of the sports world. Cliff Robinson and the Uncle Cliffy team work closely with activists around the country to help free the plant, and to help end the stigma that surrounds the cannabis plant and those that use it. A big push is underway to end cannabis prohibition in New Jersey. With Chris Christie on his way out, now is the time to start building the foundation for a successful 2018 victory. Cliff Robinson played basketball for the New Jersey Nets (now the Brooklyn Nets) and was suspended for cannabis use while playing for the team. Cliff knows first hand that prohibition in New Jersey has failed, and that it’s time for a more sensible approach. Marijuana is a word with roots in the persecution of Latinx in America. Yet, so few events or groups give space for that community. Because, all cultures use cannabis, we’ve done just that. For the first ever, we’ve put together an event in 100% Spanish and will be free for all those wishing to attend. The community will hear from various top industry leaders, medical professionals, activists and patient testimonials on how Cannabis is changing in America and overseas. In 2016, the majority of people arrested for Cannabis offenses were of Latinx descent, and while we make up a large percentage of the jail population, we are being left out and behind in the fastest growing industry in America. Communities have been lied to for the last century about Cannabis and have been made taboo. 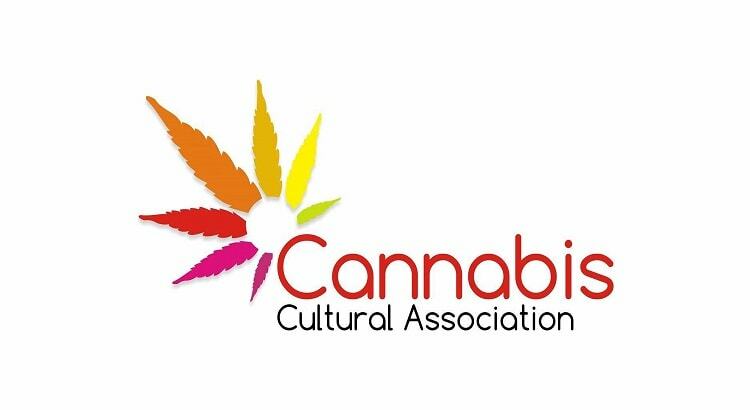 Today, we begin to change this perception and activate with the Latinx voice in Cannabis in the US and beyond! 2:30 pm Medical Panel “Doctors in Cannabis”: Local recommending doctors discussing, the trials and tribulations of the cannabis program and treating patients with cannabis.